Roofers prefer our deep cut, Big Hook Blade over any other. AJC has set a standard for excellence in hook blade technology that is unmatched in the industry. 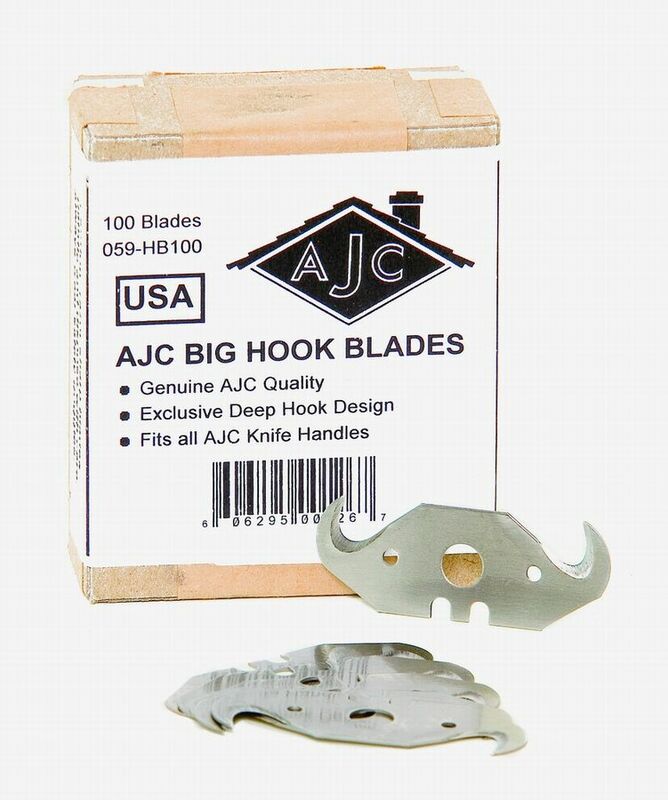 Great for any type of roof cut, our blade fits all stationary handles and AJC knives. We also have these available in packs of 5 (059-HB5) – all made from the toughest steel!